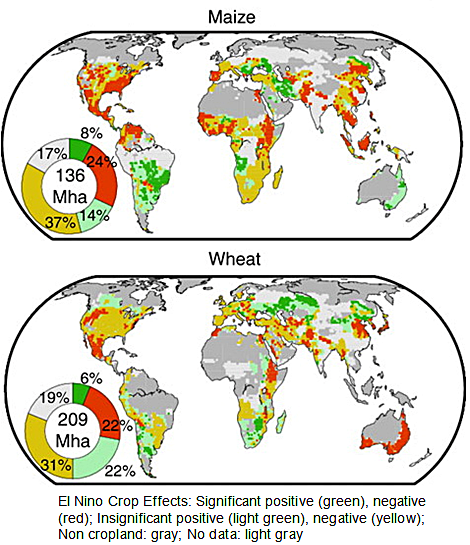 OO Scientists Predict El Nino Will Harm Major Crops Worldwide – in a new study; an El Nino is forming this year. Indonesia, 2014: Droughts, Wildfires And Choking Haze to come, indicate NASA satellite data on the currently forming El Nino cycle, which looks eerily similar to the 1997 El Nino that created all that Indonesian havoc, reports Mongabay. Brownish shades indicate where the water is warmer and above normal sea level. Shades of blue-green show where sea level and temperatures are lower than average. Normal sea-levels appear in white. 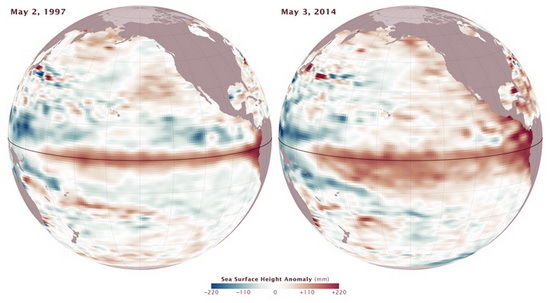 In combination with ongoing climate change, El Nino is likely to produce more extreme temperatures and weather in 2014. Join the swelling numbers of voters TELLING Congress they’ll vote for Clean Energy candidates here. This is an ongoing campaign (the next Congressional election is this year!) so please, spread the word. It’s our way of telling Congress that a strong clean energy voting bloc is out there. This is how YOU can make a difference. This entry was posted in Uncategorized and tagged agriculture, climate change, corn, environment, farming, global warming, inspiration, weather, wheat. Bookmark the permalink.